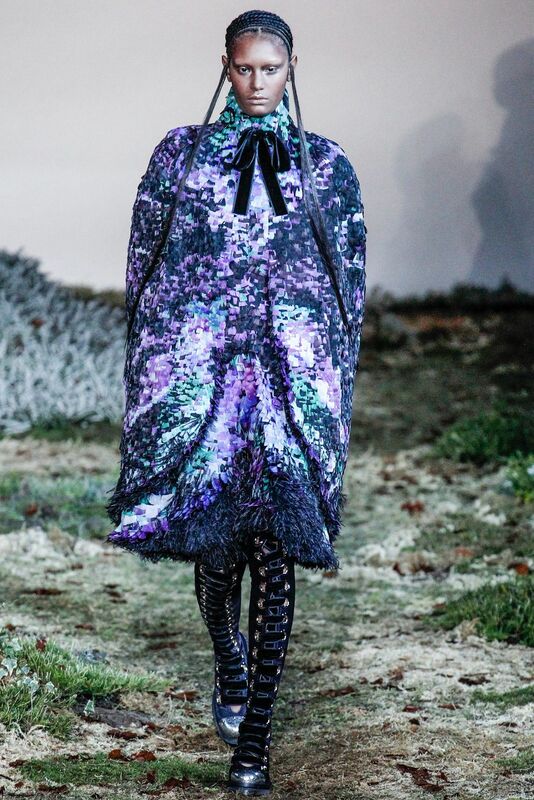 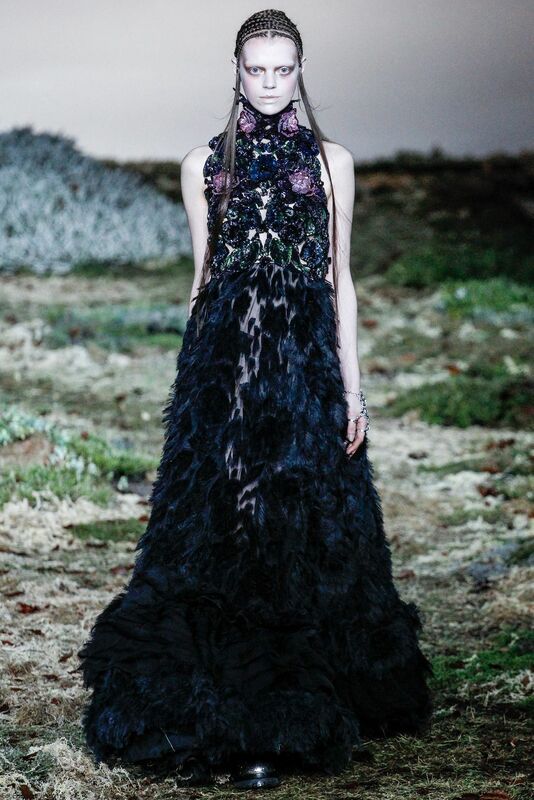 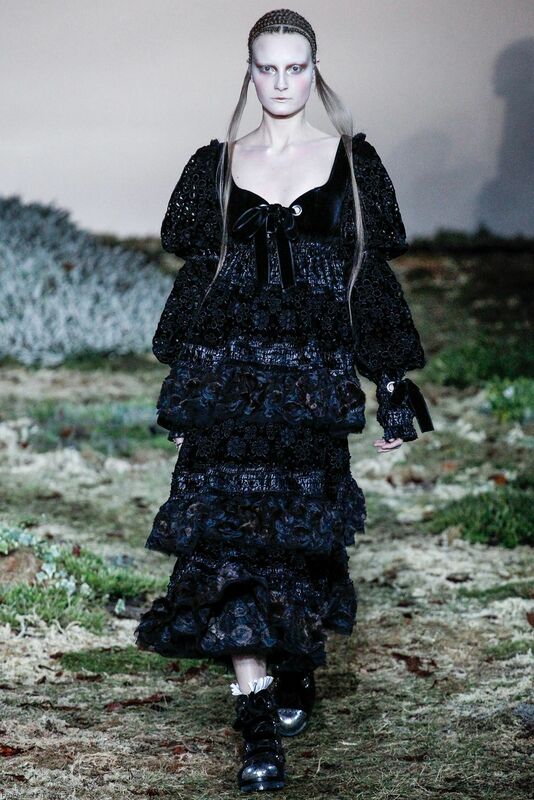 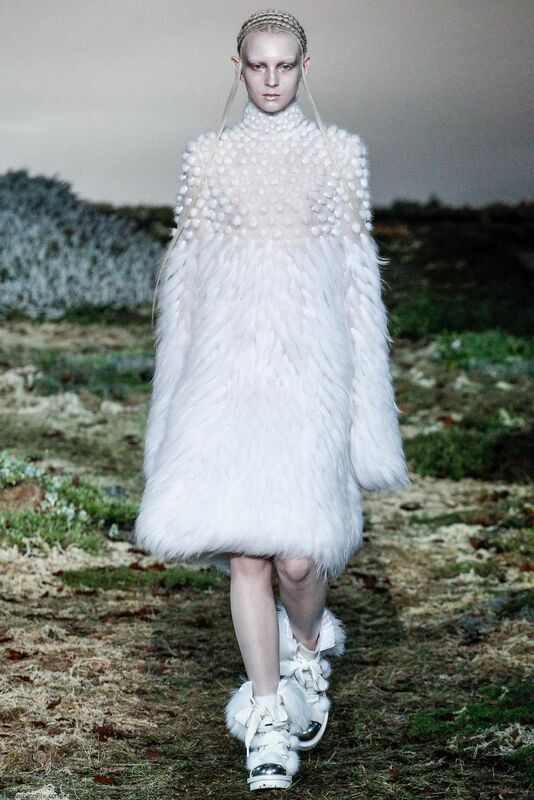 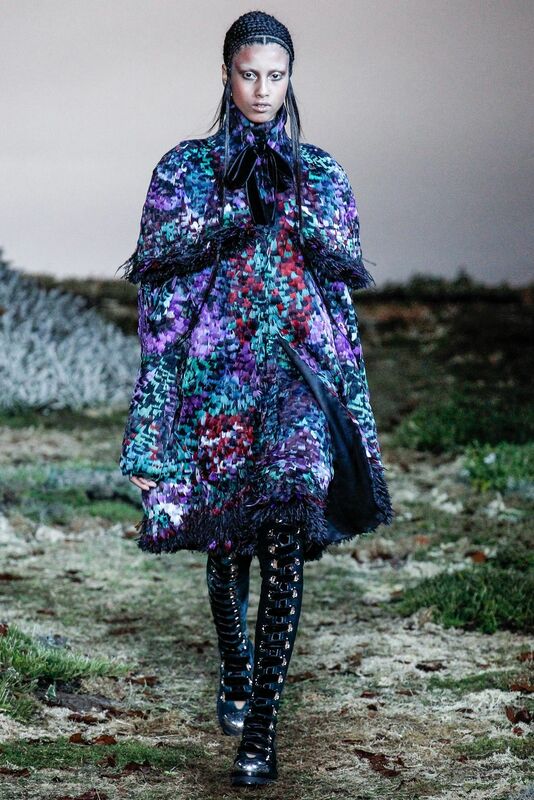 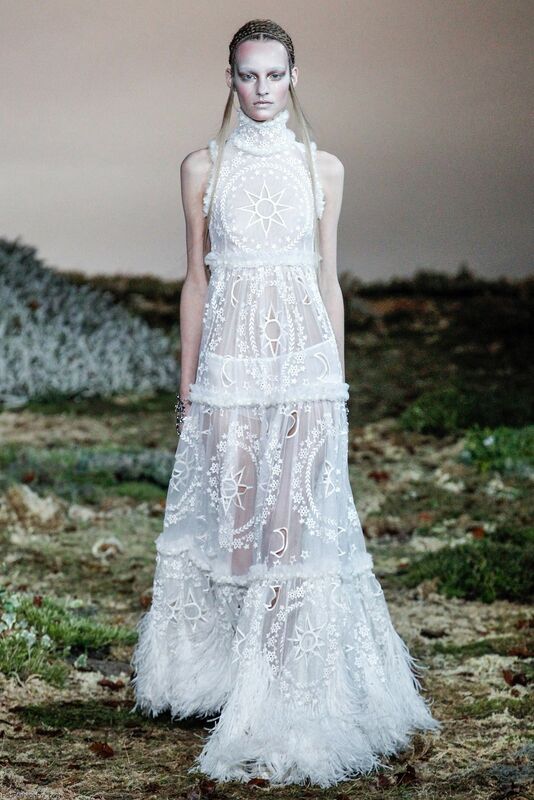 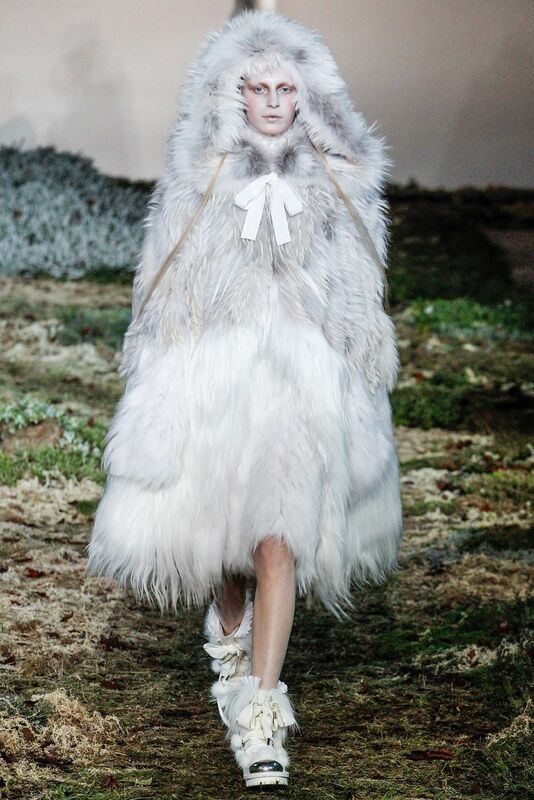 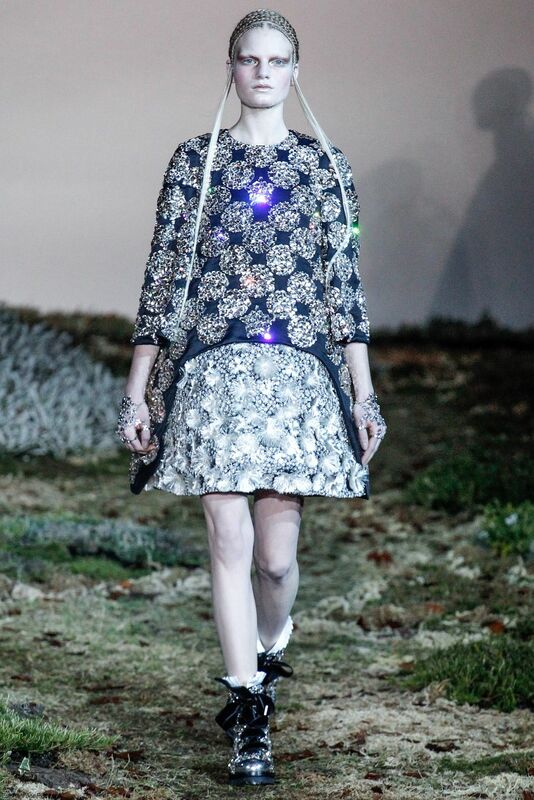 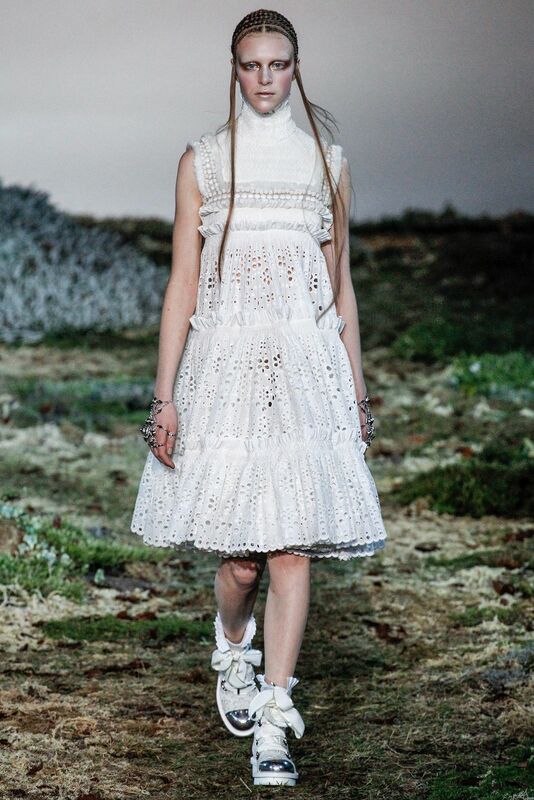 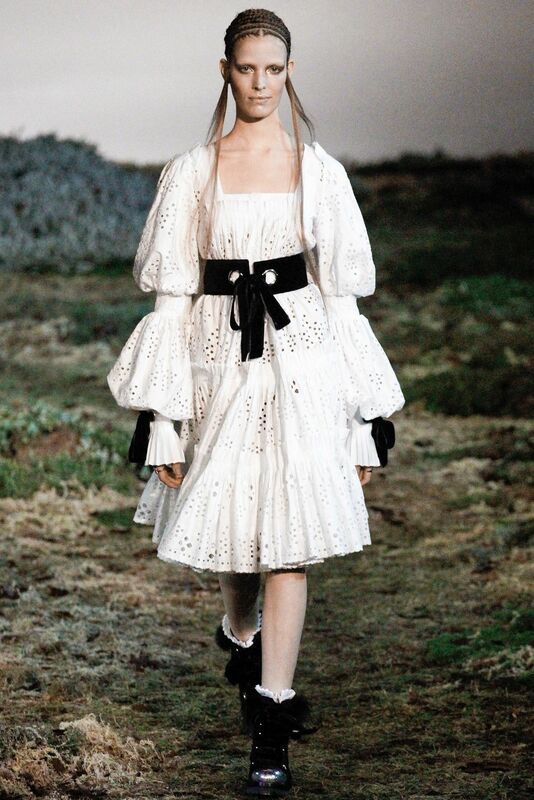 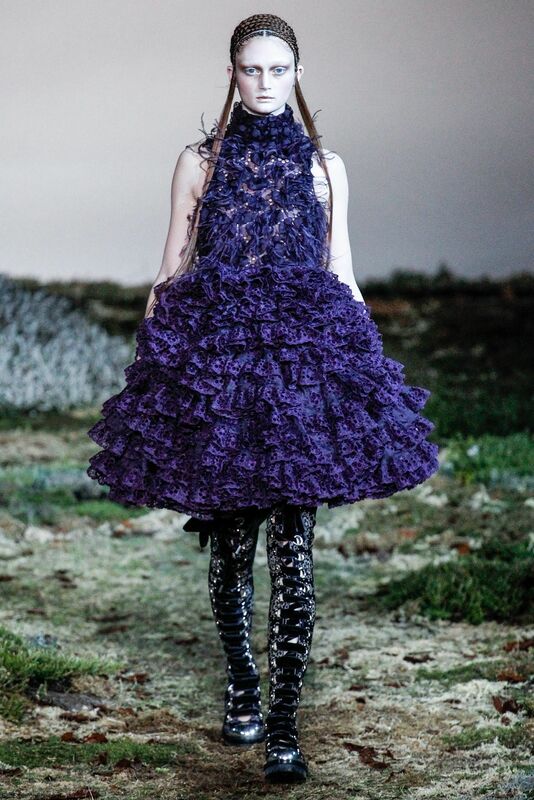 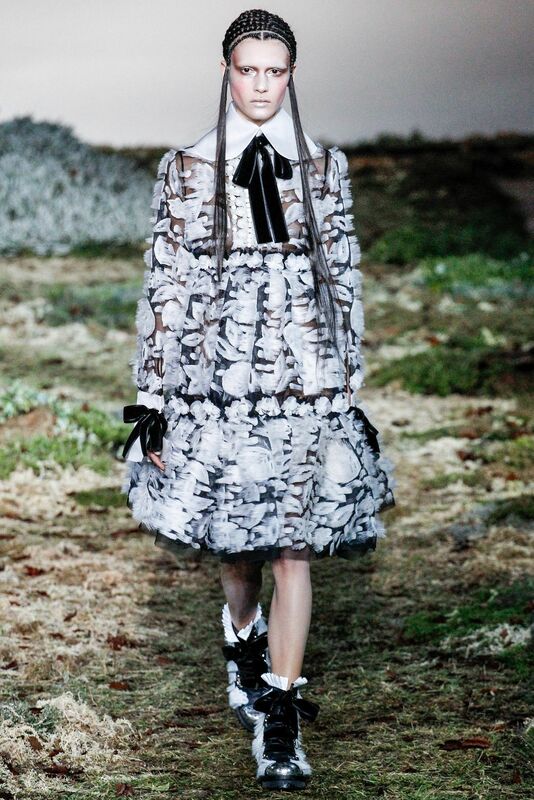 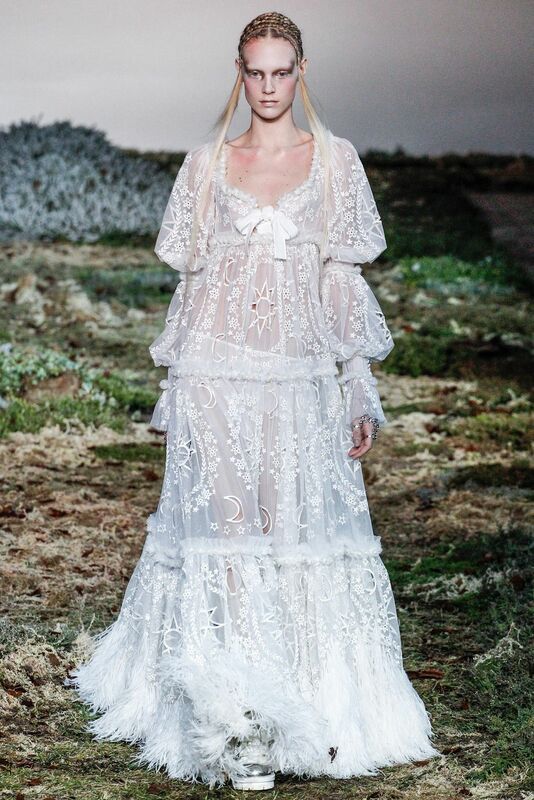 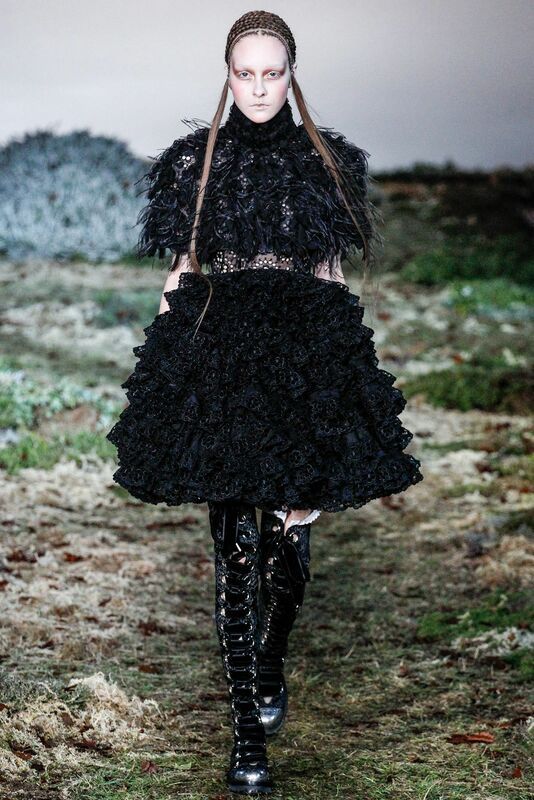 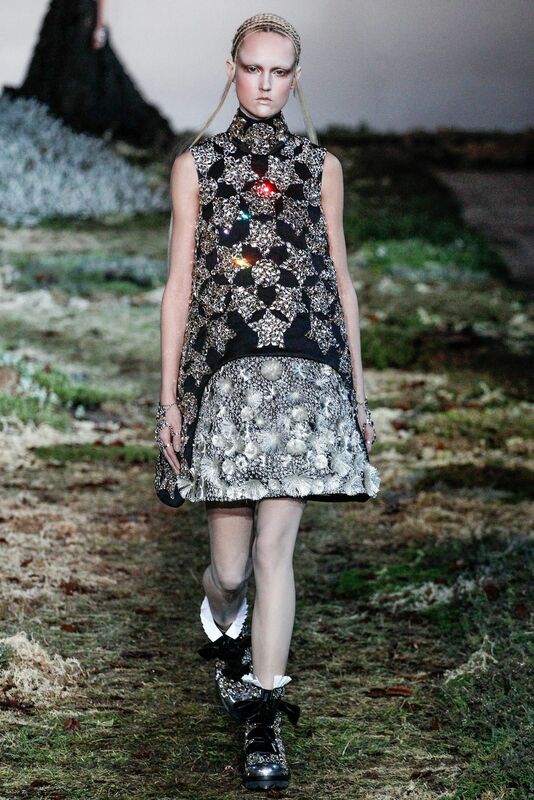 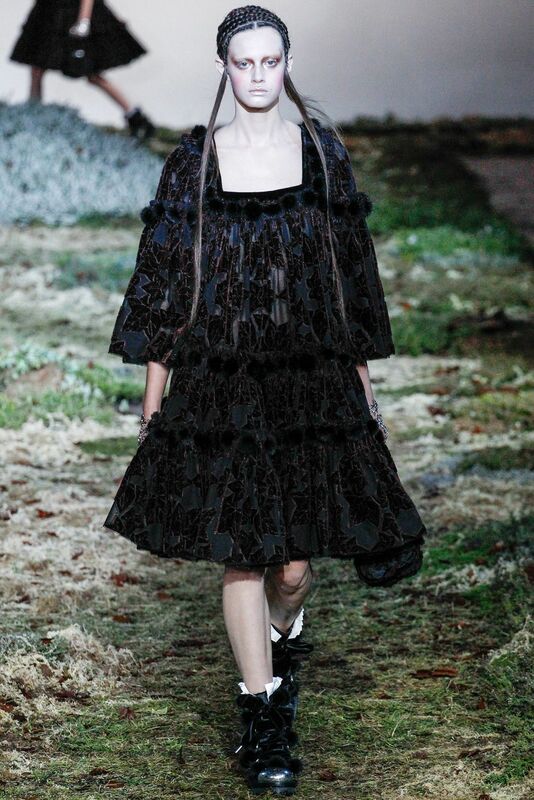 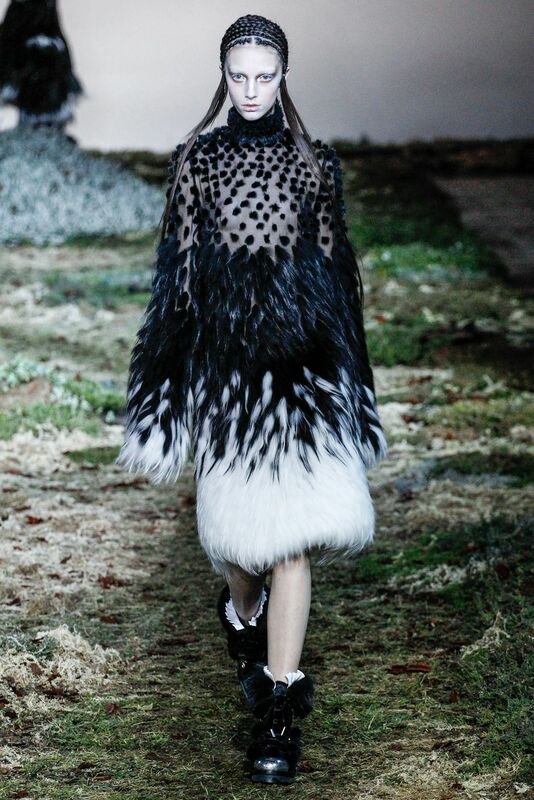 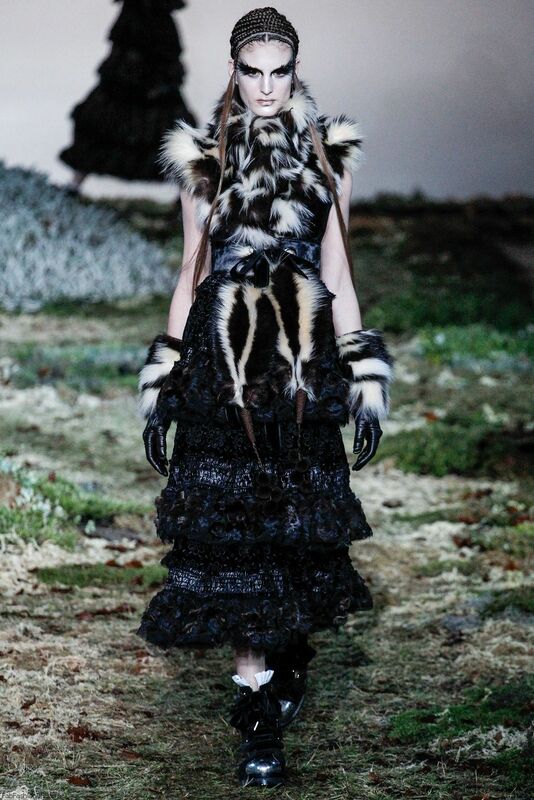 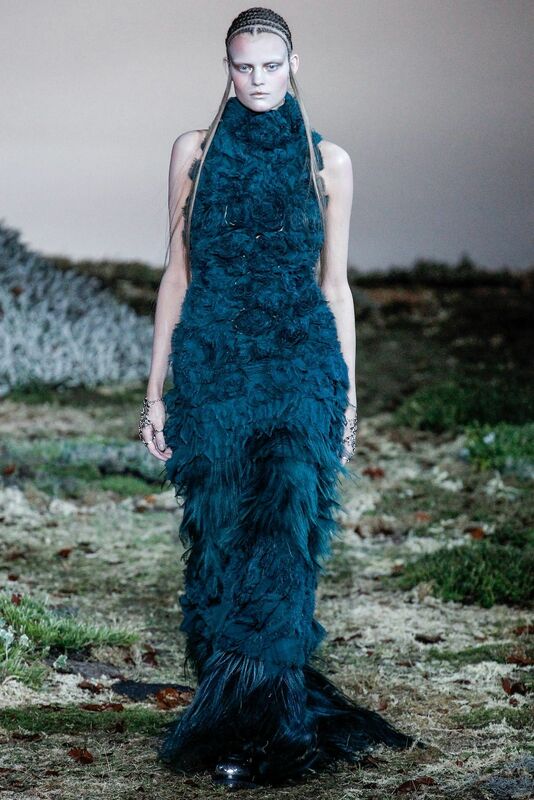 British fashion house Alexander McQueen presented their new fall/winter 2014 collection at Paris fashion week fall 2014. 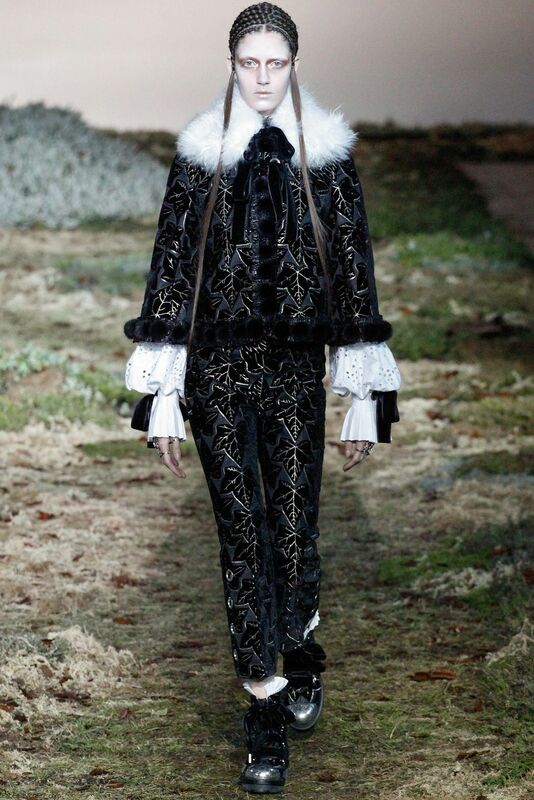 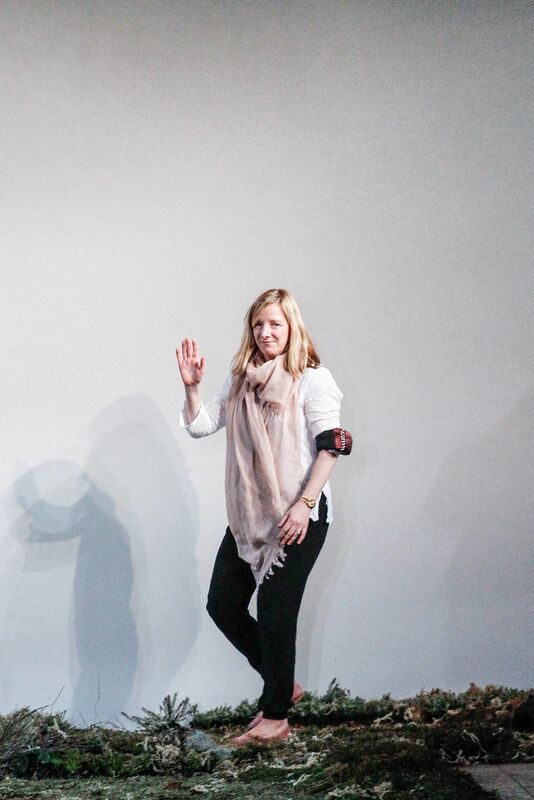 Creative director Sarah Burton delivered very artistic and dramatic, like a fairy tale collection inspired by the notion of wild beauty. 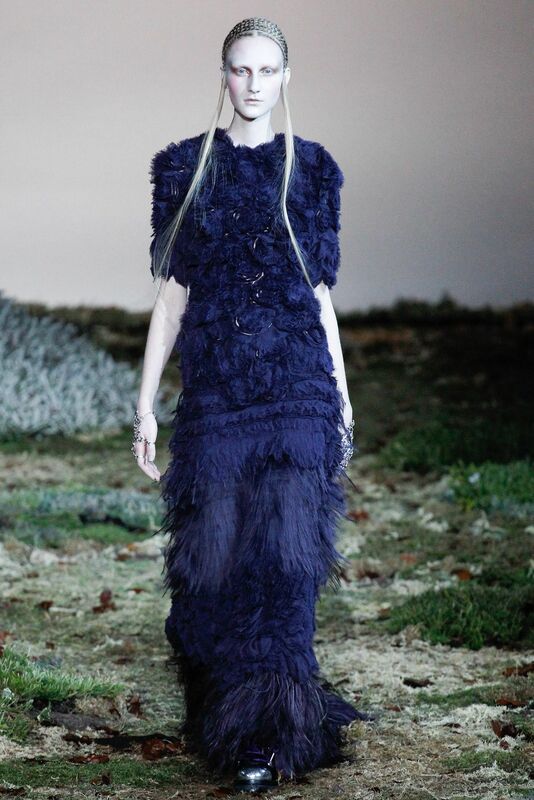 There were lots of extraordinary details such as embroidered organza and feathers were used to created the illusion of wings. 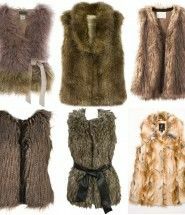 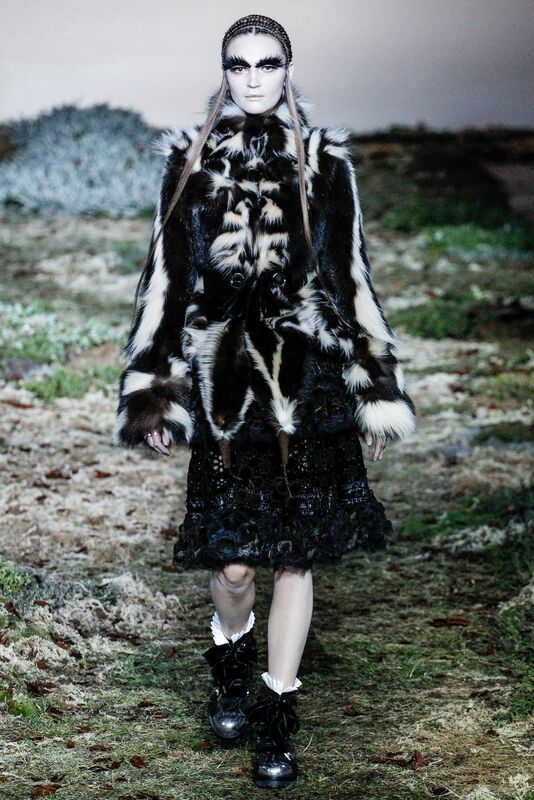 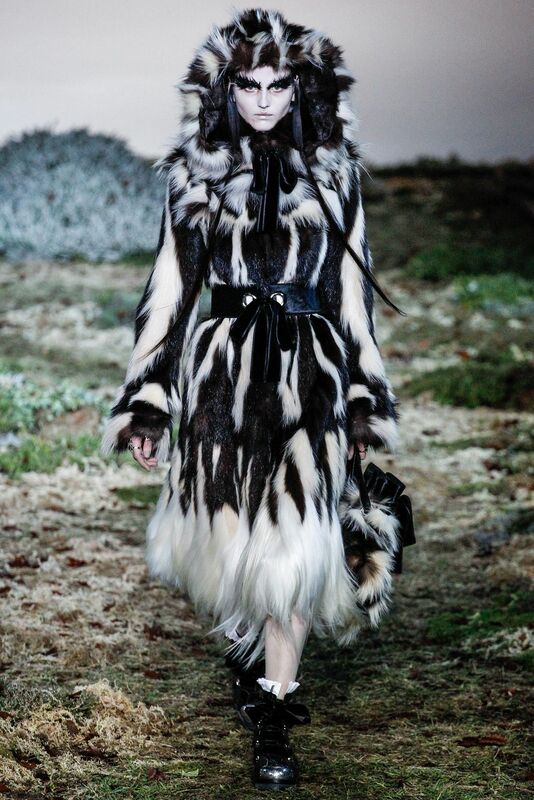 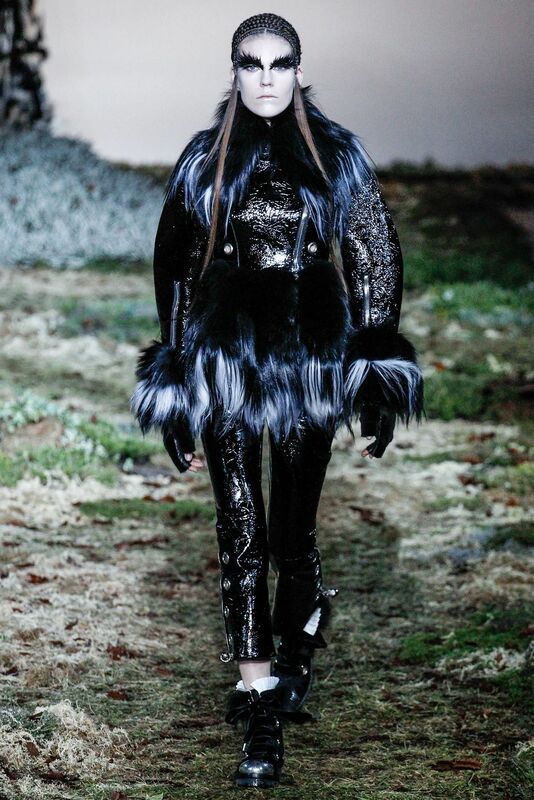 The coats had opulent fur details, while the hooded parkas had capes. 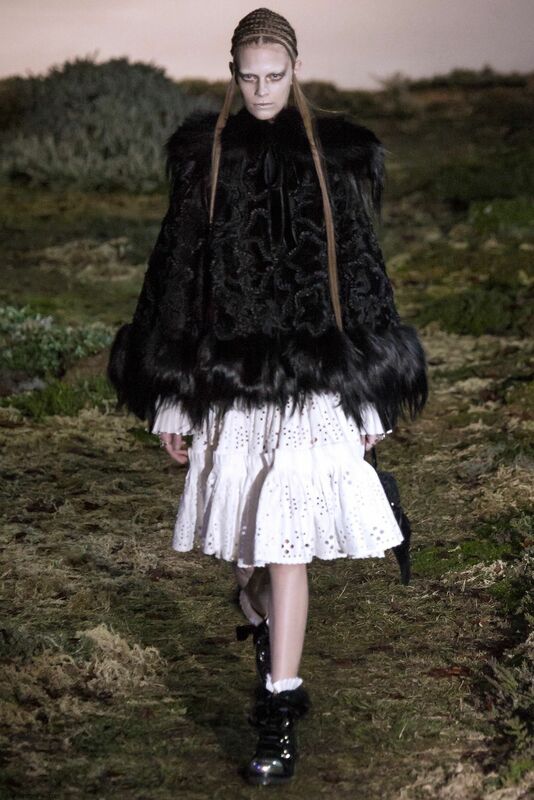 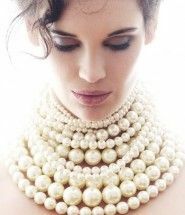 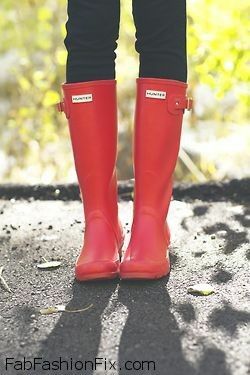 The color palette was focused on dark black tones and contrasted with the whites.